← Why Should You Keep in Mind Class Size? As parents, we undoubtedly aim for what’s best for our little ones. We want to provide them with the best education, the best life, and the best opportunities possible. For this reason, it is important to consider music and its many benefits. Music is something that is not only fun but it can help boost your little one’s cognitive development, it can expand their imagination, and it can improve many of their mental abilities. One of the main reasons to consider exposing your little one to music is because of the cognitive development benefits. Music can help with many aspects of your child’s development. It will boost their memory, help them understand academic subjects, and it provides a wide range of mental stimulation. This is why music is so important in many different kinds of preschools in New York. Music can also help improve the mood of your little one. It can be used to cheer them up, help them relax, or even soothe them. By using music, you can do a number of things, such as help them sleep or even encourage them to play. When your child is in a bad mood or giving you a hard time, music can help them out. 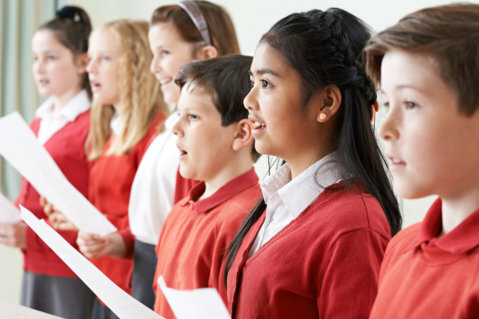 Music can help little children improve their movement and language skills. This will not only help them express their emotions much more effectively, especially if they’re already in head start pre-k, but it will also help them communicate with you better. Also, by learning how to play an instrument such as a recorder, it is a good outlet for many kids and it allows them to express themselves. Those are just a few of the many reasons why you will want to consider exposing music to your little ones. This is a great way to help them find success. If you would like to find out more about why music is so important or about our childcare in Bronx, New York, please feel free to get in touch with Sharon Baptist Head Start for more information anytime. This entry was posted in Education and tagged Child’s Development, childcare, Music. Bookmark the permalink.